Most of the water supplied to residents of Silicon Valley come from imported sources through either state and federal canals, or the Hetch Hetchy system. But now, water agencies are looking to develop new, local water sources thanks to the pressure from drought, climate change and population growth. On August 1, 2015, a massive 8ft (2.4m)-tall pipeline suffered a rupture, sending a gusher of 15 million gallons (57 million liters) of water into a farmer’s field. The spill was not only a “loss” of precious water at the height of the drought but also signaled problems with a key piece of infrastructure for Silicon Valley – a pipeline that supplies drinking water for 1.8 million people in Santa Clara County and imports 40 percent of the area’s water via the Sacramento-San Joaquin Delta. The pipeline is owned by the U.S. Bureau of Reclamation, but Santa Clara Valley Water District (known locally as Valley Water District), the county’s wholesale water provider and manager, is responsible for maintenance and has been left holding the bill, which could top $20 million. It was another reminder for Valley Water District of the need to develop more local sources of water. Currently, 55 percent of Santa Clara County’s water is imported, most through federal and state canals associated with the Delta system, and the rest from San Francisco’s Hetch Hetchy system. If water travels hundreds of miles to get to customers, there is ample room for problems, especially in an area known for seismic activity. But imported water comes with other potential headaches as well, as the ongoing drought has shown – supplies can be limited in times of shortage. Add in the pressure of population growth and climate change, and it’s easy to see why water managers in Silicon Valley are hoping to develop new, local sources of water to supplement imported supplies. But these new schemes do not come without great cost and effort. 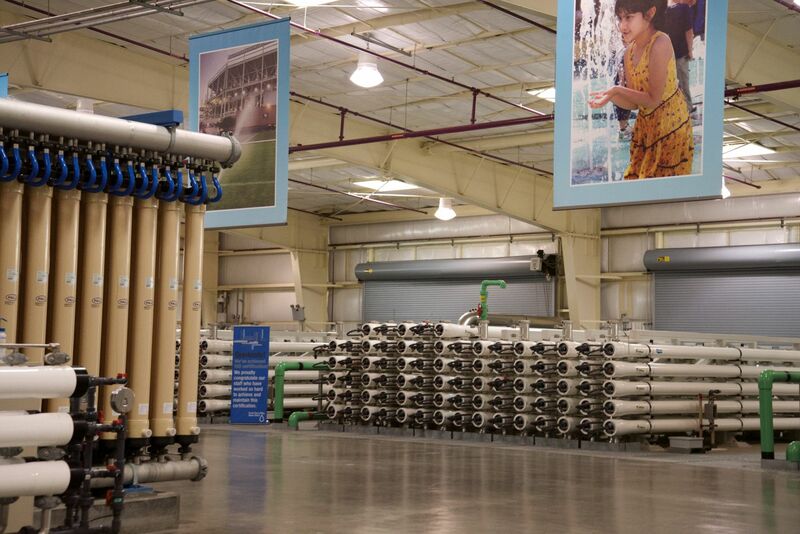 On the outskirts of San Jose, between the office parks and the landfill at the bay’s edge, is the Silicon Valley Advanced Water Purification Center. From the road you can see massive silver tanks and an assortment of pipes and pumps. But it’s inside the warehouse onsite that most of the key processes take place. The facility is the largest of its kind in Northern California and is modeled on a successful program that has been operating for years in Orange County, in Southern California. The Orange County plant treats wastewater to drinking water standards and then the treated water is injected back into the aquifer, where it is later withdrawn along with other groundwater, for supplying drinking water. It’s known as indirect potable reuse. By injecting the treated water back into the ground instead of sending it straight to homes for consumption (known as direct potable reuse), Orange County has helped to reduce some of the “ick factor” that resulted from early resistance to “toilet to tap,” as detractors dubbed it. At Santa Clara’s purification center, there are numerous steps in between toilet and tap. Wastewater first goes to the standard wastewater treatment plant, where it is cleaned twice before being piped across the street to the purification center. There are three key steps that take place next. First the water goes through microfiltration, where it is pumped through tiny membranes to remove solids, some viruses and bacteria. Then it is forced under pressure through microscopic membranes in reverse osmosis getting rid of salts, viruses, most pharmaceuticals and other contaminants. Even though the water looks clean at this step, it is finally subjected to ultraviolet light, which kills any remaining pathogens. These processes ensure the water ends up “meeting and exceeding California drinking water standards,” as tour guides at the purification center explain. The water may be clean enough to drink, but will people want to drink it? Four years of drought and browned lawns may help convince Santa Clara County residents that recycled wastewater is palatable, but that remains to be seen. “There will always be those people who are no-ers,” said Amy Fry, a tour guide at the purification center. “But in terms of public support, we have gotten so much.” Fry said that 200 people have signed the center’s “supporter cards,” which means they are publicly affirming their support of the project. News stories have been mostly positive and at an open house in October 900 people attended to tour the facility and hear about the process. Assemblymember Rich Gordon hopes to help raise awareness about purified water from the center. Under current state law, only visitors to the purification center can taste the water for “educational purposes,” but Gordon has written new legislation that would allow the water to be bottled at the center and given away offsite (say at farmer’s markets or conferences). It still would be simply for educational purposes, not mass use or distribution, says Gordon, but it would help Valley Water District to get the word out to more people about the purification process. But it’s not cheap. The facility cost $72 million to build and currently costs between $3.6 to $5.5 million a year to run at its current production level, which is 8 million gallons (30 million liters) of water a day. Most of the money to build the project, $47.5 million, came from Valley Water District, $11 million came from the City of San Jose and the rest came from state and federal programs. And the water that is purified now, even though it meets drinking level standards, is actually mixed with recycled water from the treatment plant across the street and distributed via a recycled water (purple pipe) system that delivers non-potable water for irrigation and industrial uses. The end goal of the facility, though, is a larger build out that by 2022 would be able to augment drinking water supplies – initially by helping to replenish groundwater and maybe one day in the future delivering water directly to customers. The region has a huge groundwater basin, but it has been overdrafted in the past, most severely in the 1960s when the land subsided 13ft (4m) in some places because of too much groundwater pumping. Even during the last few years the county used an unsustainable amount of groundwater to counter diminished surface water deliveries. And that makes recycling water one of the most viable options for the area as it is both cheaper and less energy-intensive than desalinating seawater, which is now being done in San Diego. But that doesn’t mean that desalination is totally off the table. Since 2003, five Bay Area water agencies, including Valley Water District, have been studying the potential of building a regional desalination plant in Contra Costa County that could produce about 10–20 million gallons (38–76 million liters) a day of water for Bay Area customers. So far, feasibility studies have been completed, but the project has yet to move further forward. “The next step is to revisit the role of the project within the context of each agency’s changing water supply and demand picture through 2030,” the project website states. Several years worth of studies have also been done by the Bay Area Water Supply and Conservation Agency (BAWSCA) to determine the feasibility of desalinating brackish groundwater in San Mateo County from a shallow aquifer under the bay. “The next critical step is a test well,” said Michael Hurley, BAWSCA’s water resources manager. “We really need to get a handle on how productive that basin is.” The hope would be to produce somewhere around 6 million gallons (23 million liters) a day of drinking water to supplement regional supplies. The City of East Palo Alto has a gap they need to close, as well. Most residents of East Palo Alto are served by American Water Services and the water comes from San Francisco’s Hetch Hetchy system with its headwaters in Yosemite National Park. And while the water is good quality, there isn’t quite enough of it anymore. East Palo Alto has outgrown its allocation from the San Francisco Public Utilities Commission, which owns the Hetchy system, and without new sources of water the city can’t continue to grow. East Palo Alto currently receives 2,199 acre-feet (2,700,000 cubic meters) a year from SFPUC, but needs 2,200 acre-feet currently and is projected to need 3,400 acre-feet by 2035. Not having enough water is a “severe economic disadvantage and its been like that here for a number of years,” said Michelle Daher, environmental coordinator for the City of East Palo Alto. Economic constraints are a big concern, and so is emergency preparedness. Right now, 100 percent of the supply is Hetch Hetchy, which means that East Palo Alto doesn’t have an alternative source of water if something should disrupt the conveyance or quality of the Hetchy water, which happened recently. That’s now about to change but a high-tech purification center like Valley Water District’s is not an option. East Palo Alto is a mere 2.6 square miles (6.7 square kilometers) and has about 30,000 residents. Until 1983 it was an unincorporated part of San Mateo County. Many residents here are already struggling to pay their water bills, says Daher. The city has some of the lowest per capita water use in the state, in part because some residents can’t afford to use more water. So the city is going back to an old technology – groundwater wells. It hopes to drill a new well on a sliver of land behind a Home Depot. Daher estimates that there is probably a year’s worth of planning before construction could begin. And there are plans to bring back into activity a previously shuttered well on Gloria Way that had high levels of manganese. A naturally occurring mineral, manganese can leave water with a brownish color, making it unappealing to drink. 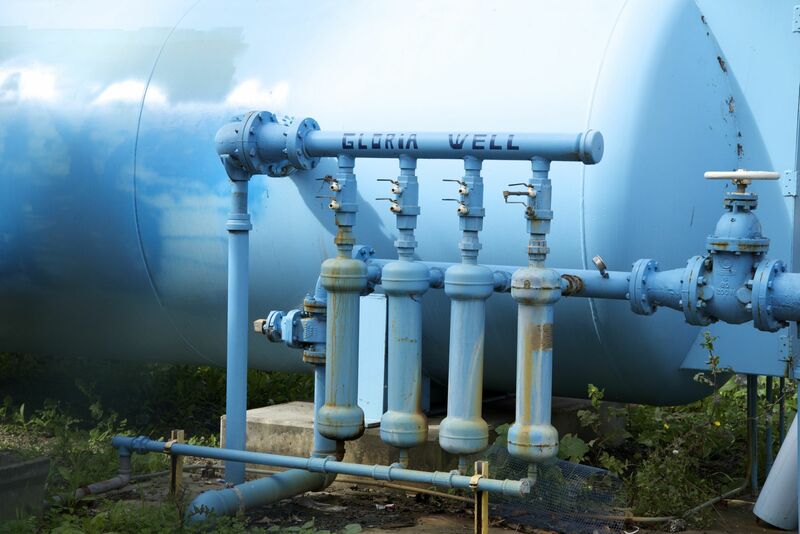 Daher said that the city is looking into putting a wellhead on that will pull out and treat any of the water quality problems, but it’s a bigger undertaking than the new well. East Palo Alto is also exploring the possibility of using treated wastewater to help meet the needs for non-potable water such as irrigation and street cleaning. Right now, the wastewater is treated and then gets piped into San Francisco Bay. But increasingly wastewater is being seen as a resource instead of a liability. Daher says the city has now been invited to join a water recycling committee with Valley Water District to explore the potential of becoming a customer of its recycled water in the future. But East Palo Alto’s plans for tapping groundwater do raise concerns for some in the community, especially the ones who have been around long enough to remember the 1960s, says Daher, when the city used to rely on groundwater but it became so overdrafted that subsidence was common. That means that monitoring the groundwater program is crucial, but Daher says, the city has the least staff per capita in the area. “So if we are responsible for monitoring, how is it that we have the expertise to do that? Are we hiring the right expertise if we’re hiring contracts to do it? It’s important to make sure enough eyes are on the situation,” she said. And while plans for desalination and purified wastewater for drinking by other water agencies in the area are still years, if not decades out, for East Palo Alto, time is of the essence in securing new sources of water.